Haiku for the modern world, written by Sara. Another early experimental piece. Dabbled with some coloring, texturing and hand lettering. The joke is an old one and was mainly just to provide some structure for the art and some things I wanted to try. From the Brain Teaser Comics Archive, April 2013. 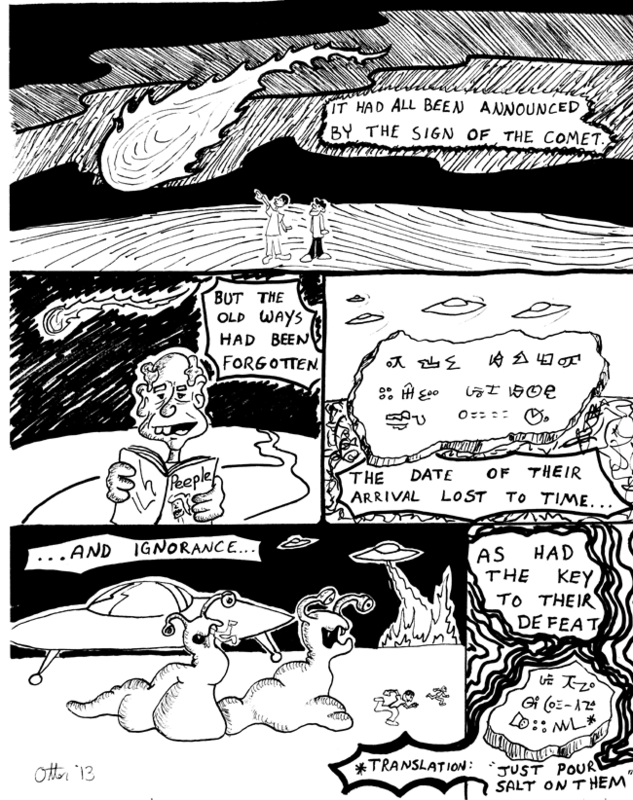 NOTE: The following strips and comments were originally posted at Brain Teaser Comics in Feruary 2013, but I moved them here as they fit the Blank Tape aesthetic more than Brain Teaser as I was re-designing that site. I've been very busy recently, hence, no recent comics. 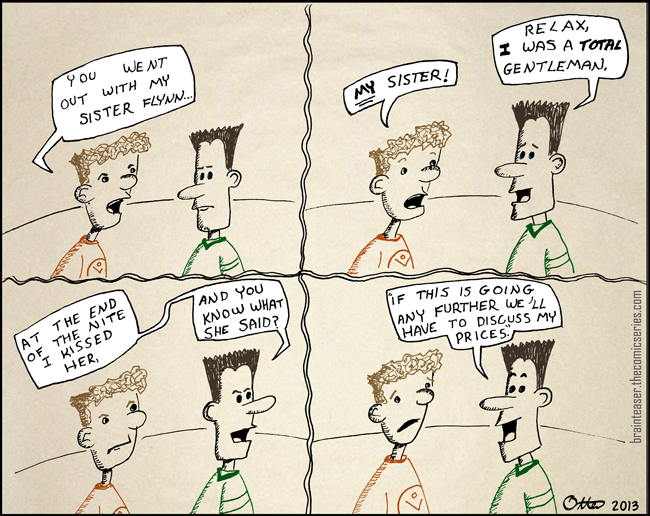 I read a few of these and thought they'd make fun comics, so I adapted a couple in my free time, while Mrs. Disaster slept. 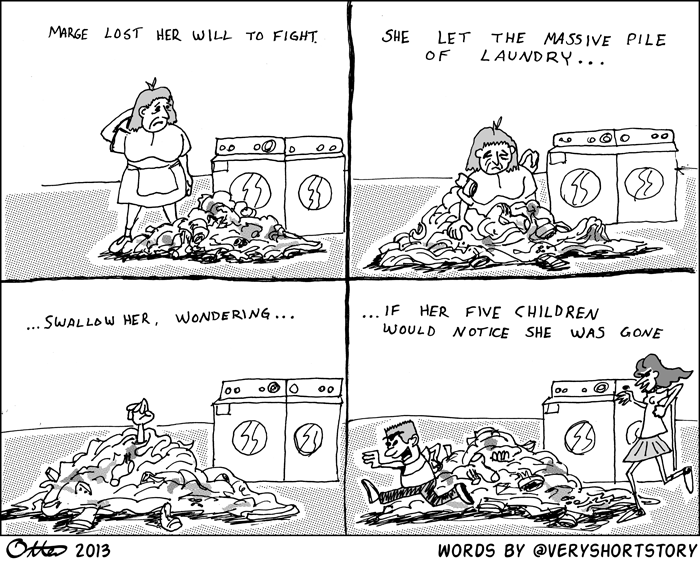 Here is the first, a tragic tale of a mother and her laundry. 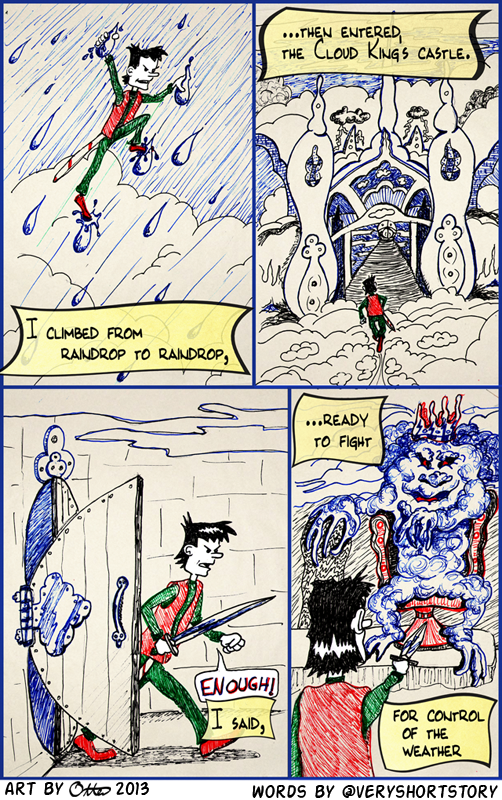 The second story by @veryshortstory aka Sean Hill, that I adapted into comic form.